National Signing Day is just two days away. With that in mind, here’s how I project the Gators’ Class of 2019 to end up. First, a quick run through of the key to the list. The number of ⭐️‘s beside a player indicates the player’s average ranking from 247, ESPN, Rivals and Scout. 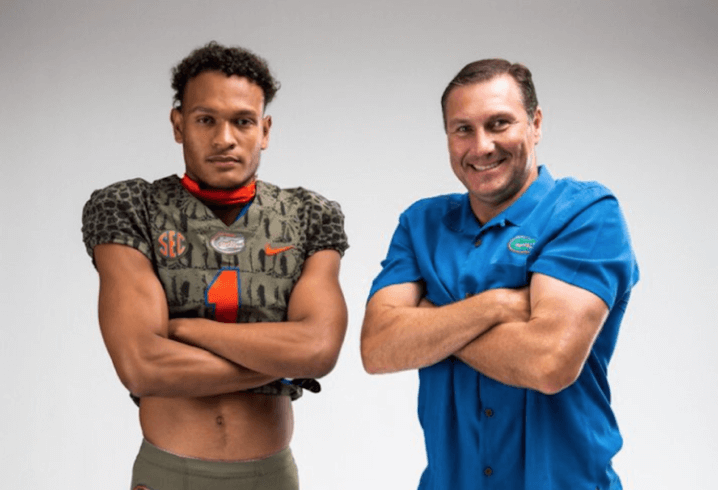 A player listed in bold has already signed a letter of intent to Florida. One * beside a player’s name means he is currently committed to Florida verbally, but has not signed, and two **s beside a player’s name means a new addition to the class that is currently not committed to Florida, but that I project will sign a LOI to Florida on Wednesday. As you can see, my only projected change to the class Florida currently has is the addition of Kaiir Elam. Georgia has made a strong (and borderline unethical) push for him with the addition of Charlton Warren as its new DB coach, but I project that Elam’s family ties to Gainesville (his uncle is former Gator safety Matt Elam) and his wish to play close to home will persuade him to stay in state. Additionally, I don’t think Florida will land Khris Bogle, but there’s definitely something to be said about the fact that he’s remained verbally committed to Alabama for a month and still wanted to take one last visit to Florida anyway. As it stands, Florida has a very good class coming in. If the Gators can add Elam on top of it as I believe they will, it will cross that border from good to great. What is the word on Bowman out of Lakeland ? RB? I think he’s a Gator, but that’s the class of 2020. This projected class is for 2019.